What is it about yoga? Forget everything you thought before, from now on everything looks different, even upside down? Take all the same elements, but view them through a magic telescope which shows the invisible connections, the inner mechanisms, the back story? The bones are NOT the structure of the body. The tissue is the structure of the body – the muscle, tendon, ligament. The bones are the spacers. As you hang a coat on a hanger to keep its shape, so each bone holds the tissues open, apart and in place. An arm with all its intricacy, needs to be held long and rigid for all that intricacy to be useful, and that is what the bone does. The body without bone would be a wonderful, piece of work, with all its systems useless because of the inability to create space. The lungs would not move, but be smothered within the chest walls. The limbs – well thats obvious. And the skull? Well, its obvious, we need bones. Bones grow and strengthen throughout childhood. Once you mature your bones remain static. When you grow older the bones weaken and that is it. Growth, age and deterioration are the way of things. 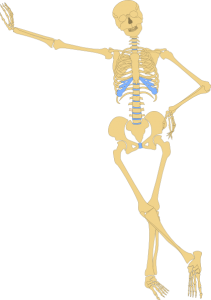 Bones grow length and breadth through childhood and early adulthood. the osteoclasts destroy bone, in response to the forces put upon it in day to day activity. the osteoclasts destroy to provide the minerals needed by the body to function. if the body works strongly, the muscles and ligaments attached to the bones pull on them, demanding them to strengthen in response to the work. If the demand is too great and sudden, the bone could break. If the work is not strong enough, no strength and density is built into the bone. With bones it is all supply and demand, demand and supply. The human skeleton is a work in progress, constantly in the process of being both broken down and strengthened. At various periods of our life, bone growth is prioritised and at others the body draws on the constituents of the skeleton for other purposes. When we are growing, as children, we are putting on bone length, size and density. As older people, doing less physical activity, the body sees this activity as low priority and may withdraw calcium to neutralise stomach acid instead, leading to weakening of the bone and possible major problems. Bones are so important, yet many people suffer with loss of bone density. Worse than that, they are told there is nothing that can be done. Crumbling bones and nothing to do but wait! Yoga is a wonderful exercise for strengthening the bones. 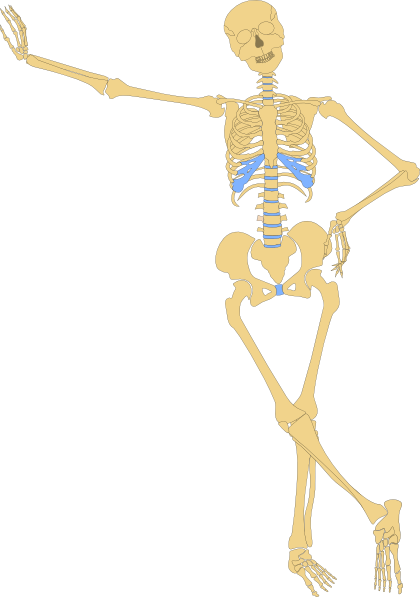 Muscles, attached to and pulling on the bones, tell the body to keep building bone density. inversions change the stress patterns, building a whole different requirement for bone building. Sirsasana (headstand) especially helps build the neck vertebrae. Arm balance poses, like bakasana and adho mukha vrksasana, are especially good for women, who typically lack upper body strength, as they demand strong arms and wrists – but any poses where weight is taken through the hands will build bone and strengthen the structures in preparation for arm balances. By adopting a regular yoga practice, and challenging yourself to do poses you don’t like much, not just the ones you do like, your bones will change. At any age you have the ability to build up your bone density. And what you are doing is sending vital energy and life force through the body, directed by your intention and your increasing body awareness. You are literally rejuvenating your body structures including the skeleton. Practising yogis typically go into their old age with strong upright posture, long necks, strong arms and legs, and a nimble, flexible stance. It is not an accident!